Spring Break is just around the corner…and yes, I’m ready for some sun, heat and R & R. It’s been a bit hair straight back as I say since Christmas, so I’m looking forward to chillin! That got me thinking about packing for warmer temps. 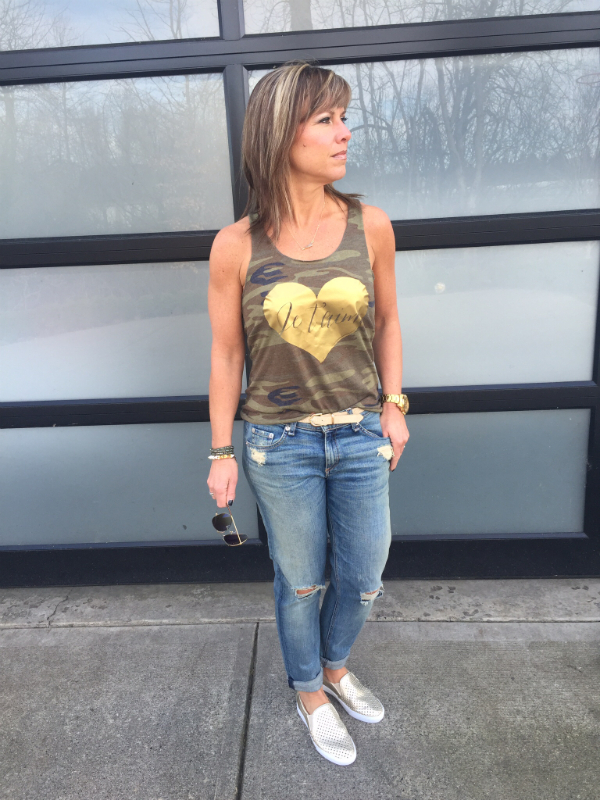 So Lo and I thought it would be fun to design a Je t’aime tank in time to throw into your suitcase bound for warmer climes! The cool camo print is offset by the luxe gold graphic. It works well on it’s own with jeans or shorts. It’s also great for working out at the gym layered over a black sports bra and black leggings. 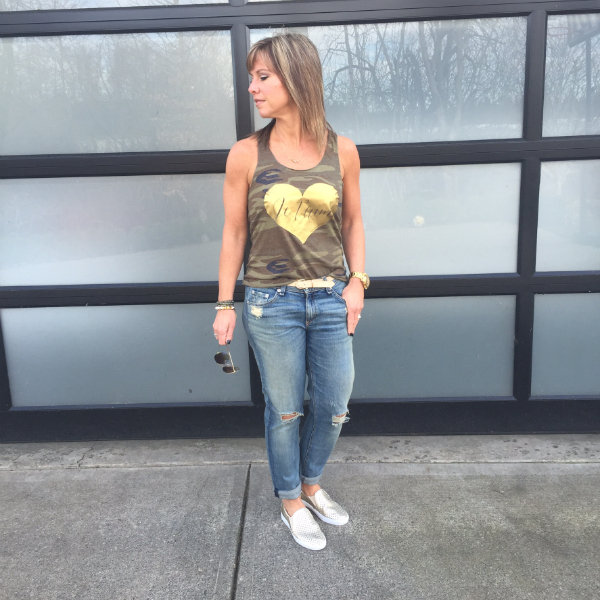 The tank fits true to size and is available in S to XL. It’s a fairly drape-y fit…rather flattering! 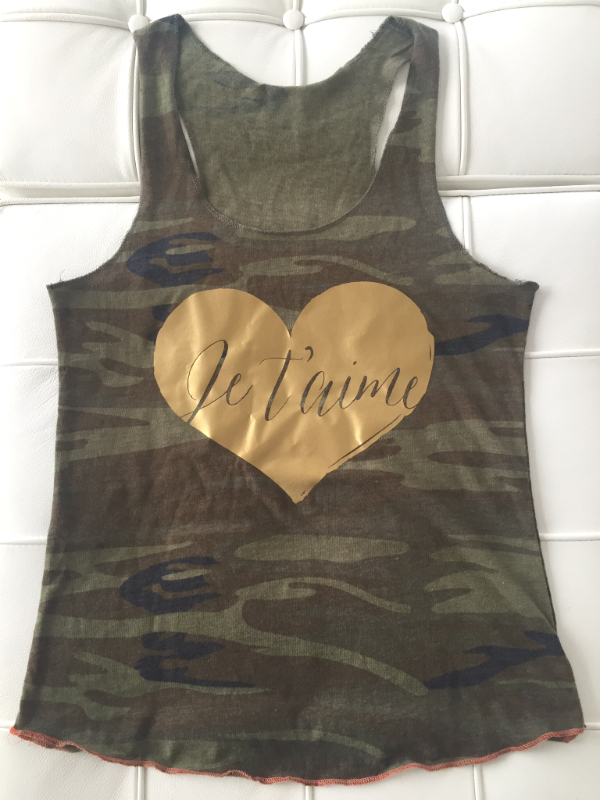 You can purchase your Je t’aime camo tank here. Order before midnight on March 1 for local pick up by March 7 or delivery by March 14. 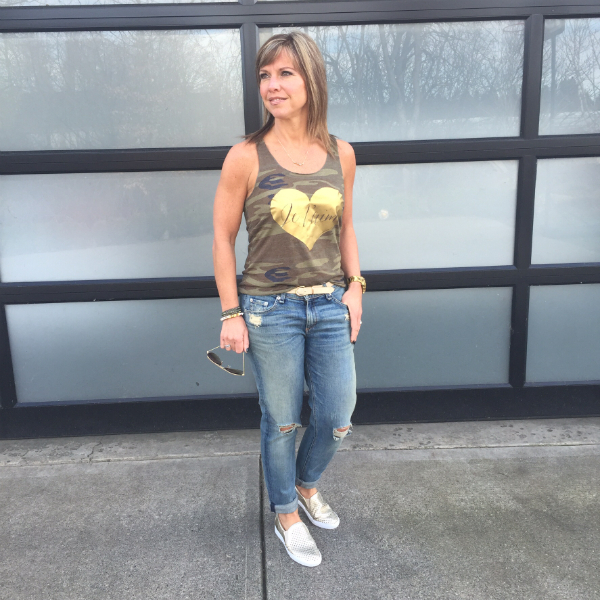 Our white and gray Je t’aime tees with the gold heart are also available online and are stocked locally at The Loft. Sun and palm trees, here I come!